I bought this dress last weekend and I’m so happy with how pretty it looks! 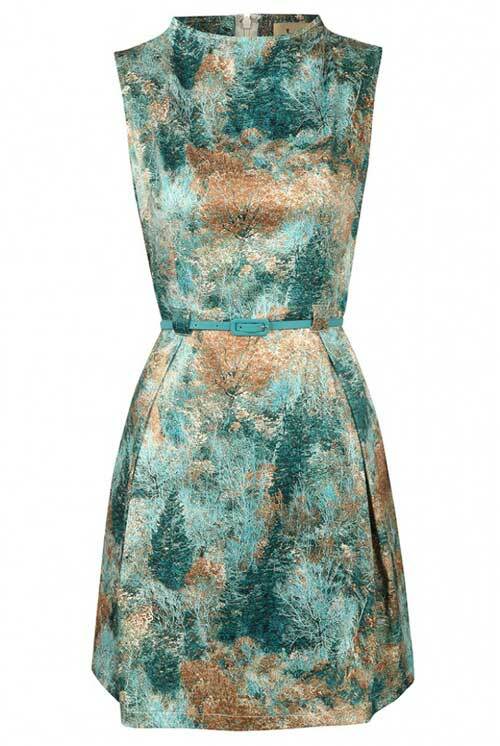 It’s got a cool metallic tree print, an interesting neckline and a flattering full skirt (with pockets!). Plus it looks awesome on me, which obviously is always a good thing! What I didn’t realise though was that I already had blogged about last year’s version of this dress! I was gutted to miss out on that dress then, but didn’t dare ordering online, cause I wasn’t sure how the fit would have been. Fingers crossed they bring out another print next year?